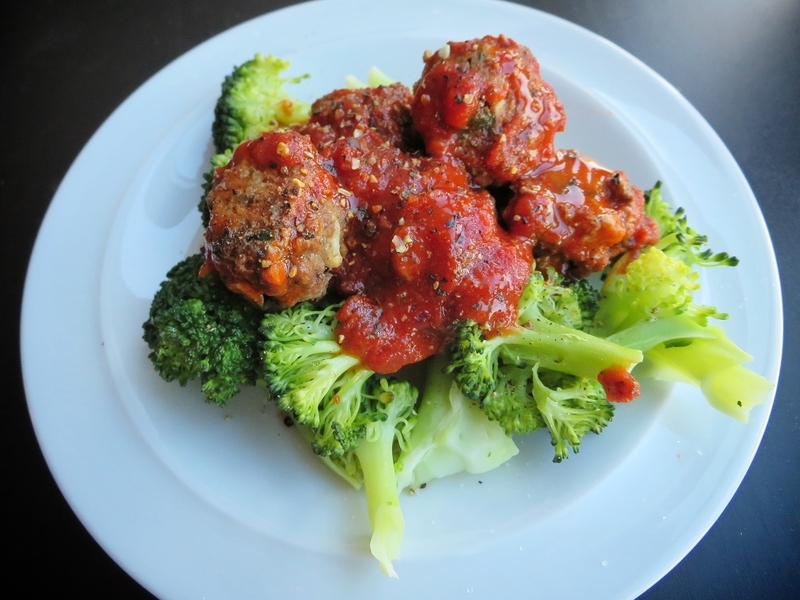 Add some extra veggies into your diet with these meatballs! Bake at 350 for 8 minutes one side, flip, and bake for another ~5 minutes. Serve either on their own as a snack, or with marinara sauce on pasta, or steamed veggies (shown with steamed broccoli).